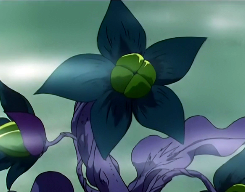 The Hyper Tellun, also known as Big Bertha in the English dub, was a plant designed by Tellu of the Witches 5 which appeared only in episode 121 of the anime. After Super Sailor Moon destroyed the Tellun plants in Tellu's store, the witch became angry and infused the last Tellun with a formula that transformed it into the Hyper Tellun. This plant, she explained, reacted to Pure Heart Crystals, and when it devoured them it would destroy both itself and the owner of the Pure Heart. However, when Tuxedo Mask freed the Pure Hearts that Tellu had already collected, the Hyper Tellun reacted to them and turned on its creator. She tried to fight back against it, but the Hyper Tellun imploded and the two of them were destroyed. This page was last edited on 15 December 2014, at 10:21.